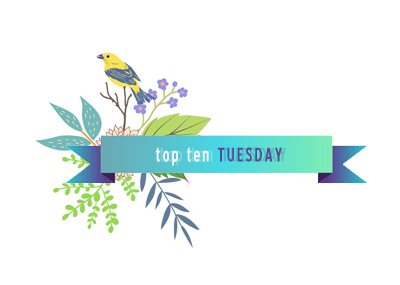 As always, Top Ten Tuesday is hosted by The Broke and the Bookish! This week features those super hyped books that I have not read. Sigh, there are many, there is not enough time, nor enough shelving space, or money *CRIES* Though tbh I don’t have plans to read most of these, hee. 1. The Fault In Our Stars has never particularly piqued my interest, not even when it became a blockbuster and paved the way for many other contemporary books to Hollywood. I haven’t even seen the movie. 2. 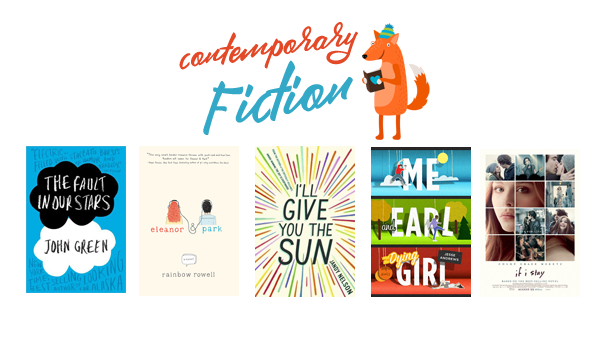 Eleanor & Park, along with Rainbow Rowell’s many other titles are on my long to-do list in my journey to assimilate to contemporary fiction. 3. I’ll Give You The Sun sounds adorable, the trouble is picking which cover I want: the pretty US version or the pretty UK version? Bookworm choices are hard. 4. Me, Earl & The Dying Girl along with 5. If I Stay falls into the same category as TFIOS for me: lots of media hype, but I have zilch personal interest. 6. The Selection is apparently going to become a TV series soon (feels like they all are!) so I suppose I will read it at some point: but it looks like a weak version of The Hunger Games. Besides, if I wanted to watch The Bachelor I can just switch to Channel 10. 7. The Mortal Instrument series is so hard for me to get into, I have tried twice now and never made it past the 50% mark of City of Bones – perhaps third time’s the charm as another adaptation is coming out (plus a new set of pretty covers!). It seems like a sin to not have read 8. His Dark Materials trilogy, but I have grand plans to finally purchase and complete these books some time this year. Similarly 9. 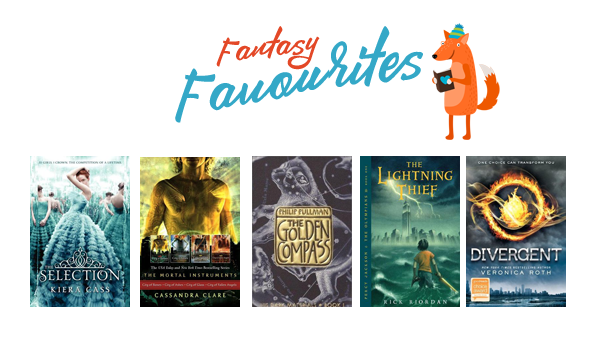 Percy Jackson and co. sounds right down my alley, what with Greek Myths and shennanigans, so I will have to read them all… this year as well, I hope! Finally 10. Divergent came out when I was super burnt out by dystopia, so I never got into it – then I heard of the silly idea of factions based on personality and my interest pretty much flatlined. This was so fun, I would love to know what your list looks like! Yes yes yes get on with the Percy Jackson series! It’s amazing, honestly. My true loves ❤ I need to read I'll Give You the Sun as well! I adored The Sky is Everywhere, so no doubt that will be fab too. Loved the list on your blog, too. I will investigate Percy Jackon, stat! I had no idea what The Selection was about until I read this… that is a hilarious description. And now that I’m reading about it goodreads I think it’s safe to say it won’t be high on my to-read list. Thought about including The Fault in Our Stars on my list as well. Really didn’t catch my interest. There was a bit of drama with the author when it first came out, which I’m sure you saw on the Goodreads review page! Also put me off it. I will definitely have to read it with so many votes for it, haha. I’m glad The Hunger Games paved the way for so many dystopia / scifi to be published as it’s my favourite genre,but I do wish they were better haha. I love Percy Jackson and The Selection! Hope you get a chance to read them one day! I have plans to read Percy Jackson in the near future, thanks for the rec! I approve of The Bachelor comment. However, I think this could make for some good ridiculous television as The Selection just seems like the aforementioned + more angst. Sounds like excellent mindless television to me! I will readily admit The Bachelor is my guilty pleasure, so I have no doubts I would enjoy that TV series haha. It’s been a while since I’ve seen it on television; mainly because I don’t have accessible cable in my room haha. But way back in the day, I definitely had it playing in the background while I did other things. I still love the dystopia genre, but yes, it took a year of ignoring all of the releases haha. I recently read Red Rising & Girl with all the Gifts, both rekindled my love for the genre! Wow, Percy Jackson has many ardent fans, I will definitely read it soon! I agree with everyone who says you are missing out on something amazing if you dont read the Percy Jackson. My list also includes Eleanor And Park which I plan to read very soon. And If I Stay, which I don’t plan to read very soon. Hope we both enjoy Eleanor and Park! That’s a lot of people recommending Percy Jackson, so I must oblige haha. Hahaha…yes Percy Jackson is really good! I started reading Eleanor and Park today morning. So far it’s really good. I am sure you will enjoy it too. The fox is a cutie, isn’t he, he will have to make more cameos on my posts! Yes, I keep picking I’ll Give You the Sun up and then putting it back down – I must actually read it soon! Before I flip out over Percy Jackson, you should definitely pick up I’ll Give You the Sun! I’ve only seen the US cover, but I wouldn’t have minded if it was a toe or something on the cover. It’s so beautiful inside! The UK and Australian cover had yellow cover and yellow edged pages! But yes it does sound beautiful on the inside 🙂 thanks for commenting Athena! Books 1-5 I must highly recommend! Especially Eleanor and Park. Rainbow Rowell is an amazing author. All five of those titles were five star books for me. Though I must say John Green’s best book so far is Looking for Alaska not TFIOS. Also, the sequel to If I Stay is much better.